Where the journey would start and end for the afternoon’s river cruise along the Brunei River. 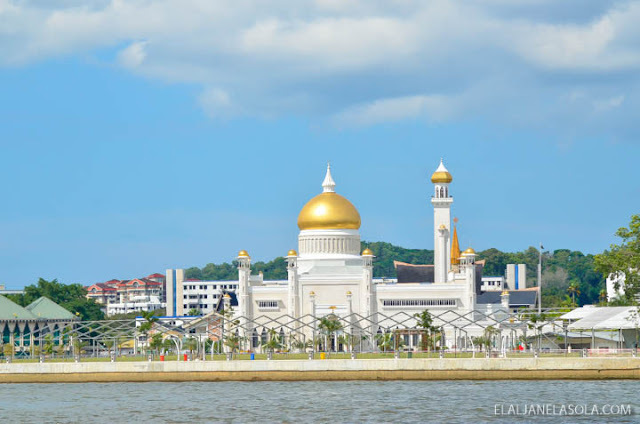 This port was specially built when Queen Elizabeth II first visited Brunei Darussalam via Kampung Dato Gandi on February 29, 1972. Her HMS Britannia ship docked in Muara then cruised over to this jetty point with her entourage. Since then, the visit was commemorated via naming it after her. 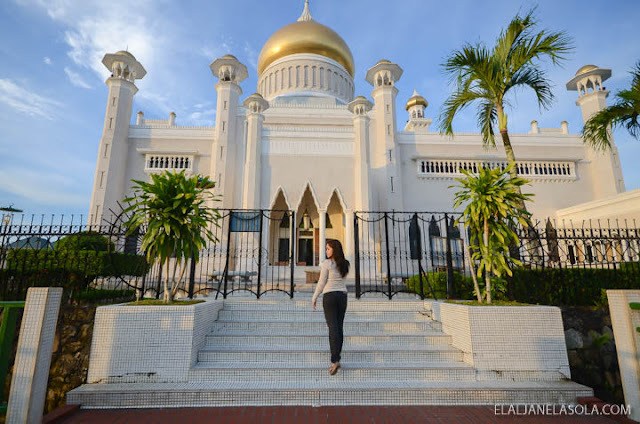 Brunei Museum, sits on top of the hill, is the first museum in Brunei that was launched during Queen Elizabeth II’s visit in 1972. Malay Technology Museum is right beside Brunei museum which building was donated by the Royal Dutch or Shell Group of companies, in conjunction with the Sultanate’s independence in 1984. 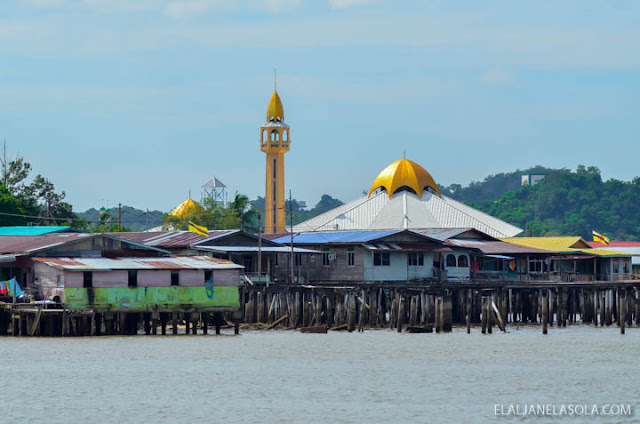 Officially opened in 1988 by His Majesty of Sultan which then featured the history of Bruneians livelihood of being boat makers, fishermen, metalworkers, and goldsmiths. Maritime Museum is the newest between the three which officially opened on March 2015. 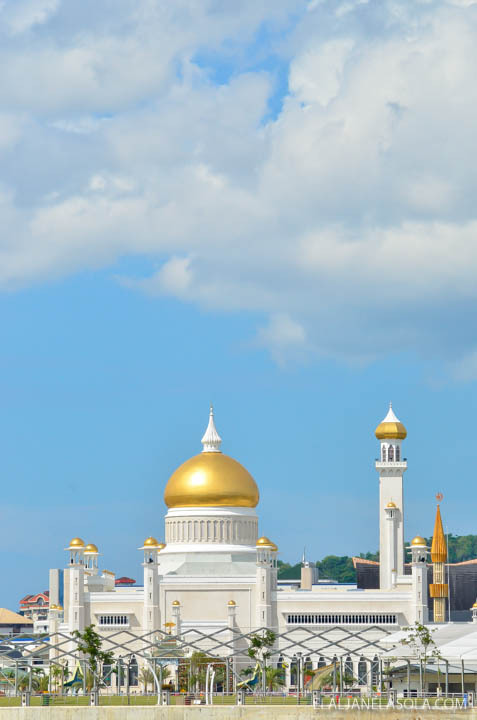 It showcases the sultanate’s historic reputation as a maritime trade empire. 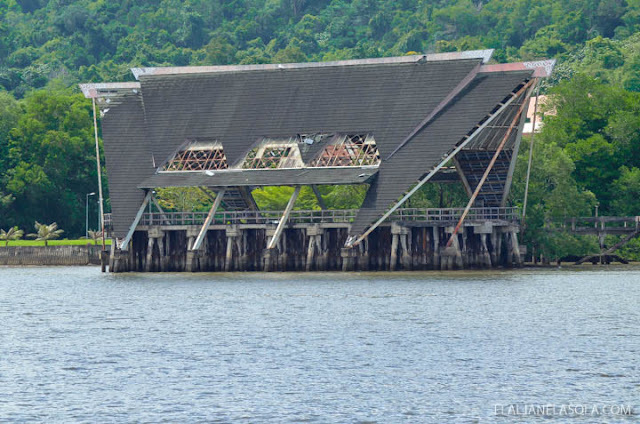 Its building’s design and architecture represented the lines of a ship to denote its nautical association of the past Bruneian lifestyles – closely linked to river and sea systems. 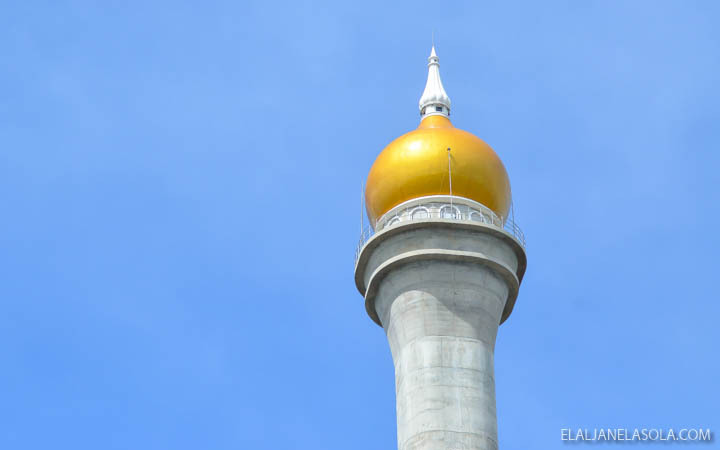 A spinning top that, according to local folklore, belonged to Awang Semaun. 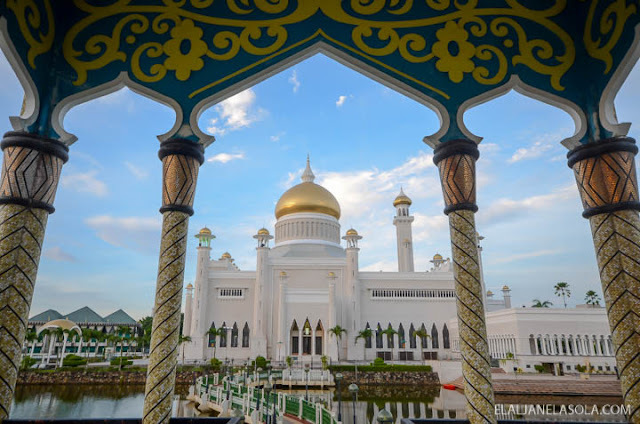 He is known to be a great warrior and the brother of the first Sultan of Brunei. 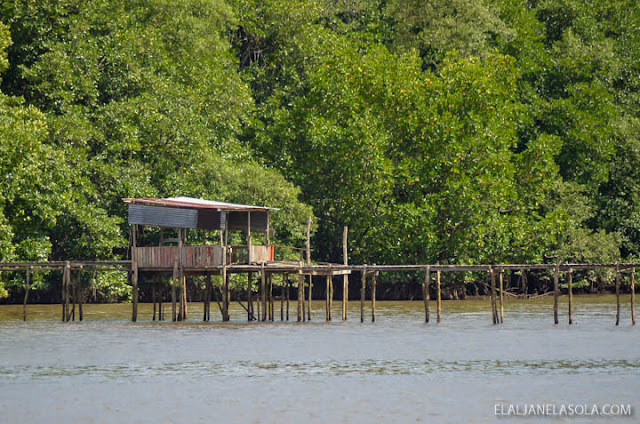 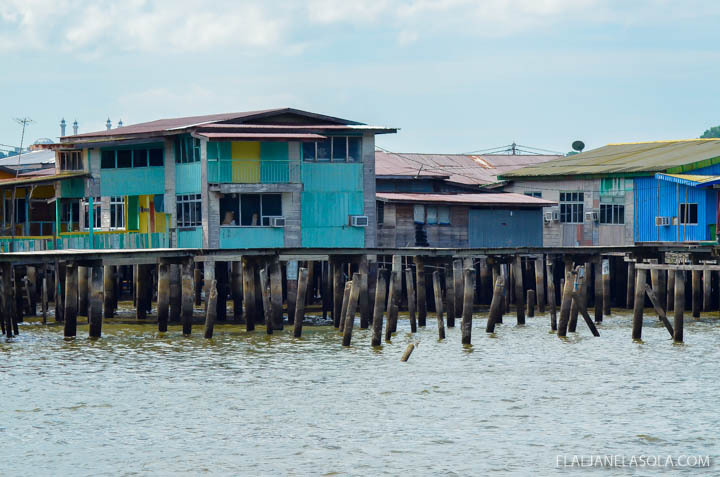 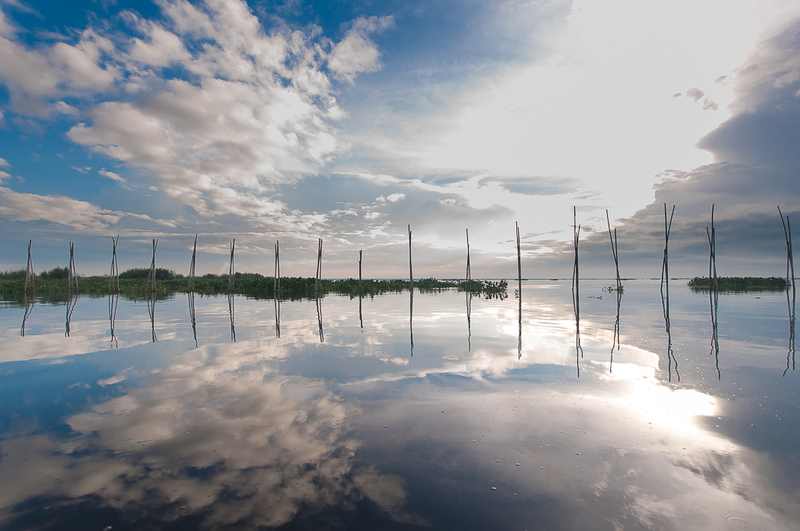 The 1300-year-old water village of Kampong Ayer is one of the known places in Brunei where one could find the stilt houses and wooden walkways. 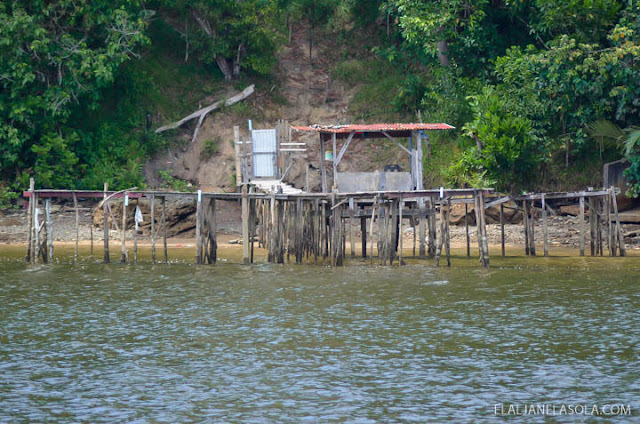 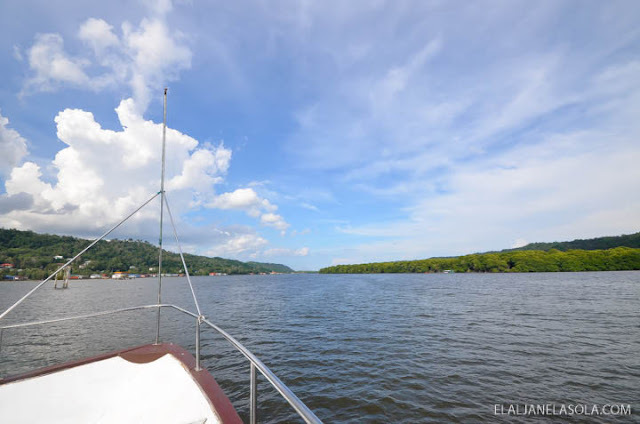 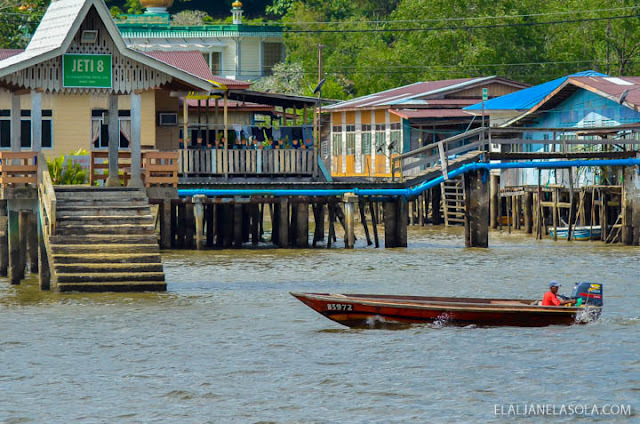 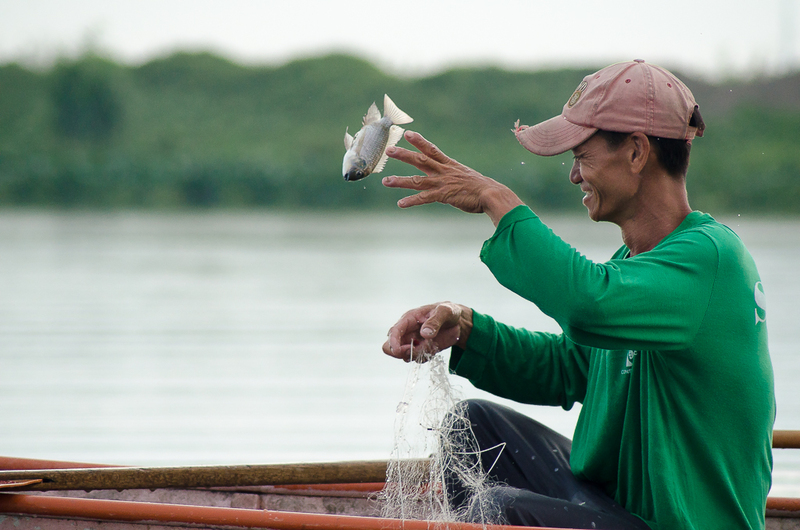 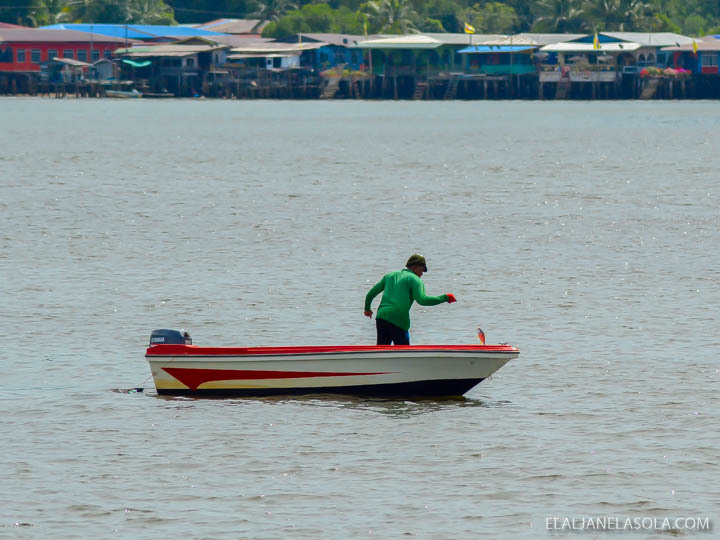 Kampong Ayer has a total of 42 villages and house more than 30,000 people -- roughly 10% of Brunei’s population. 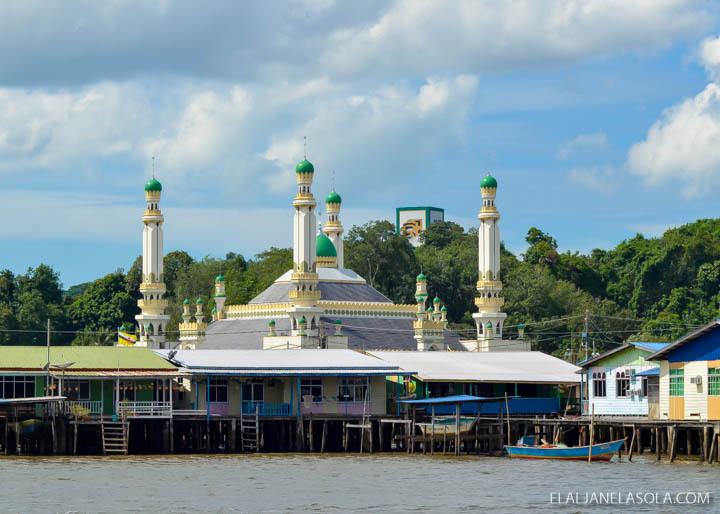 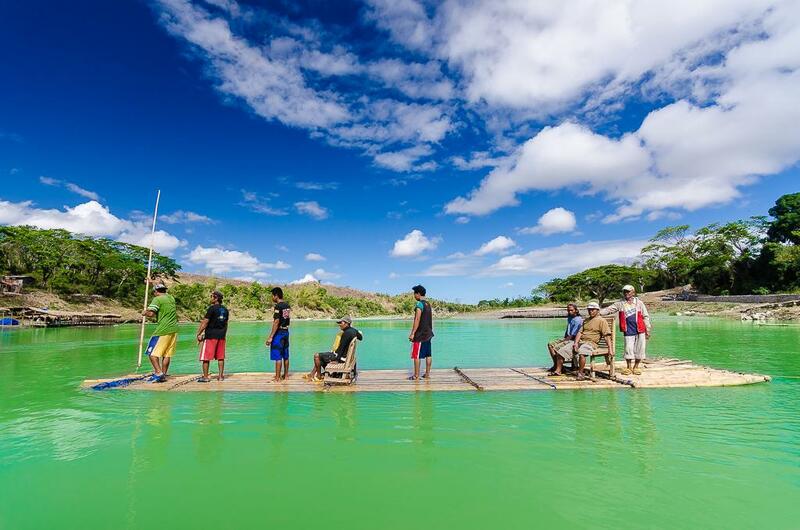 It is in fact recognized as the world’s largest water village. 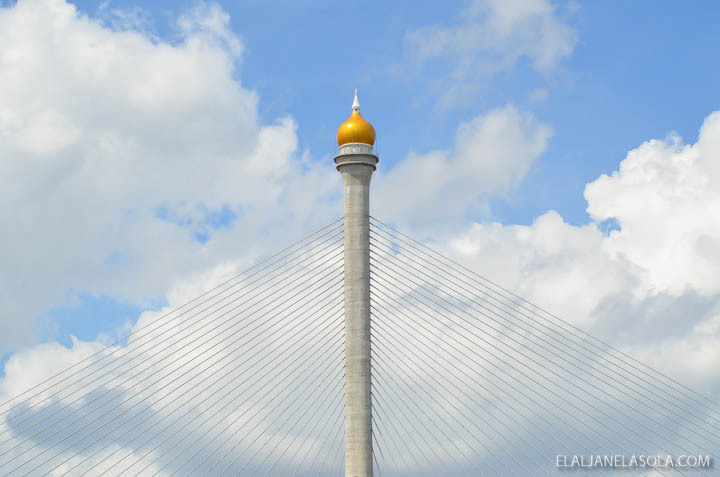 The new Temburong Bridge is the first cable stayed bridge in Brunei. 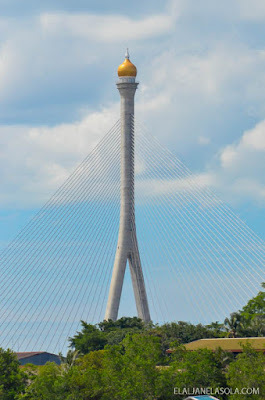 It is the second-longest bridge using one pylon in the world. 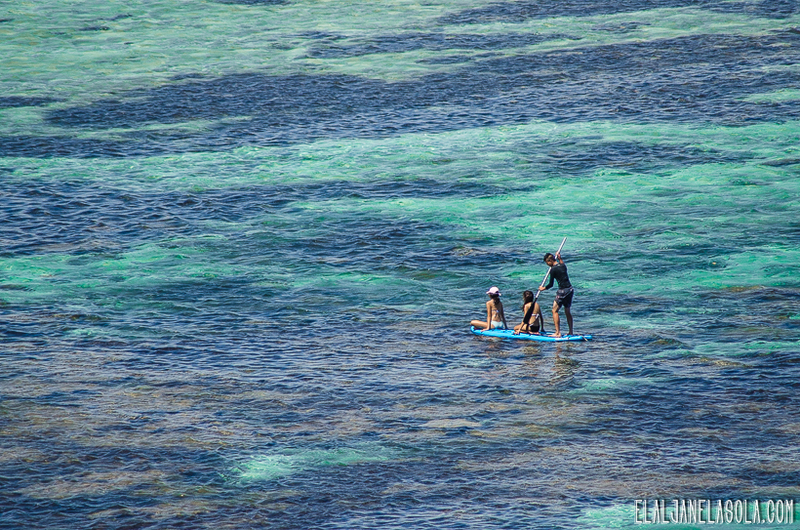 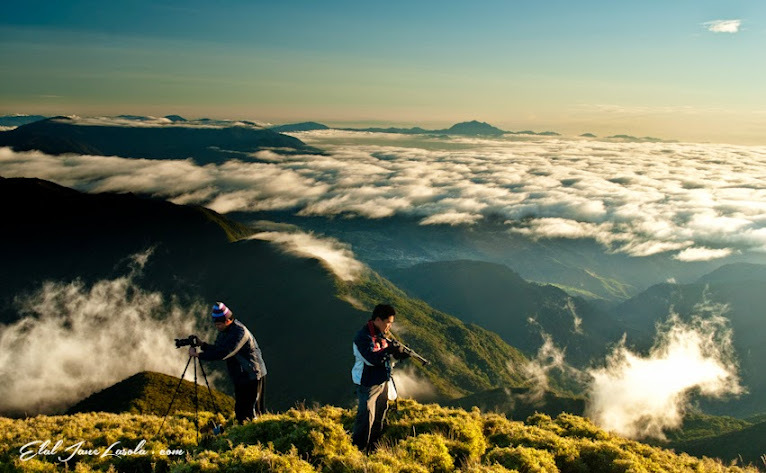 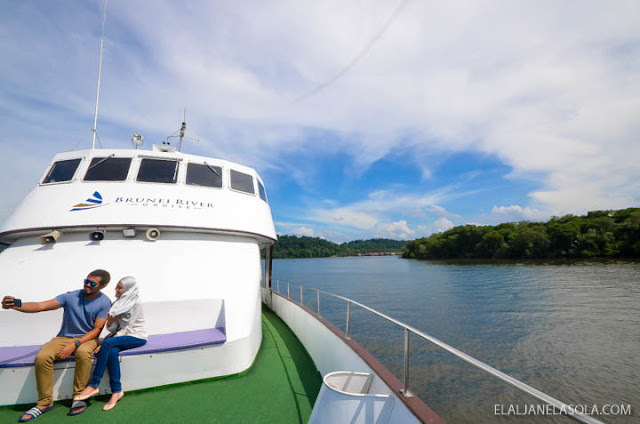 It is around 607 meters long connecting Bandar Seri Begawan and Mukim Lumapas. Brunei Darussalam’s fine arts and crafts centre showcases centuries of their nation’s proud heritage. 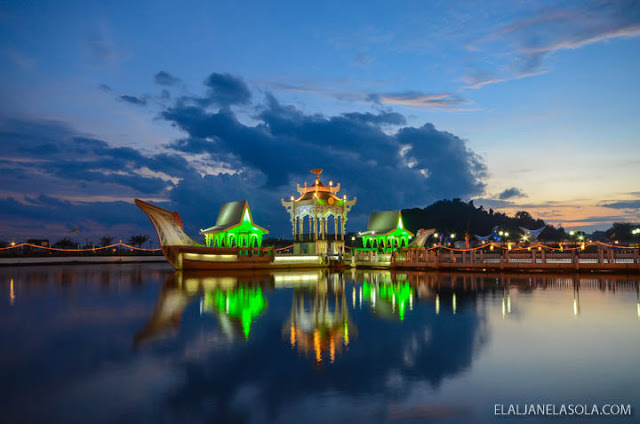 It is believed that its arts and crafts influence has spread towards Philippines and the rest of Borneo – Malaysian and Indonesian. 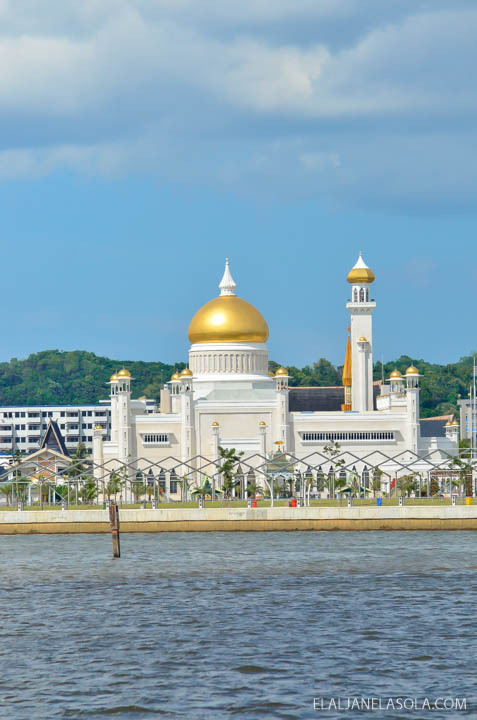 Brunei’s oldest international trading point, once a Royal and customs excise wharf, has attracted Muslim traders, Chinese merchants and even Portuguese for centuries to exchange spices, silk, textiles, among others. 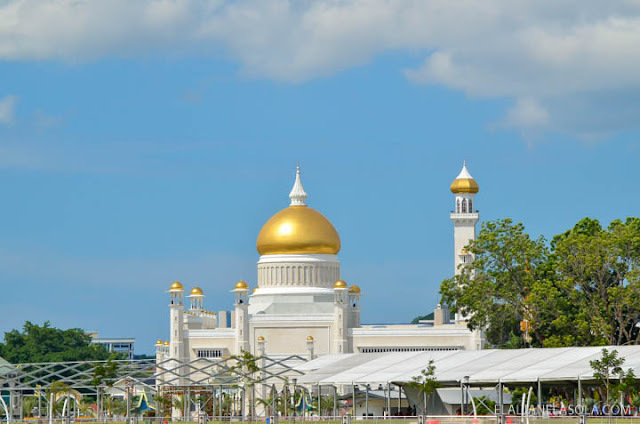 Yayasan Sultan Haji Hassanal Bolkiah Complex in Bandar Seri Begawan stands on about 210 acres of land where Kampong Sultan Lama and Kampong Pemancha Lama once stood. 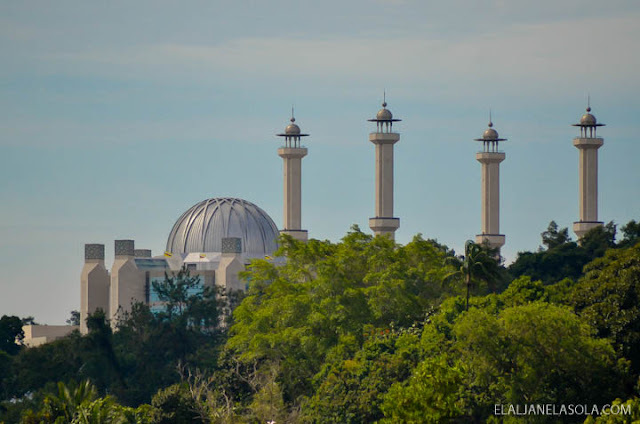 It is a supermall and home of the Sultan Haji Hassanal Bolkiah’s foundation. 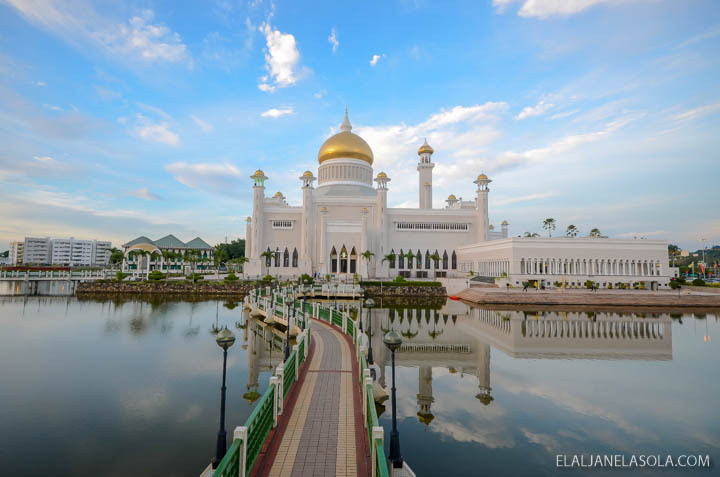 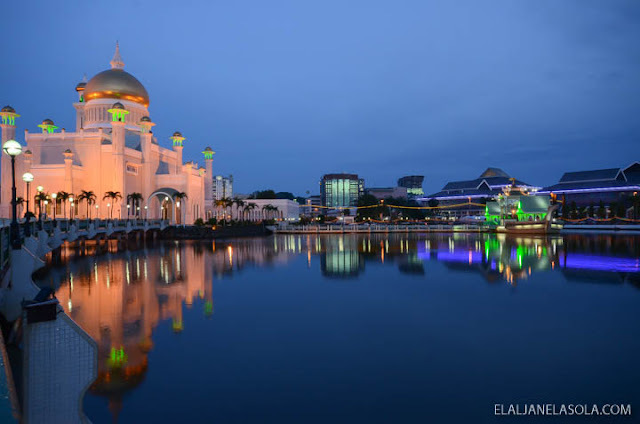 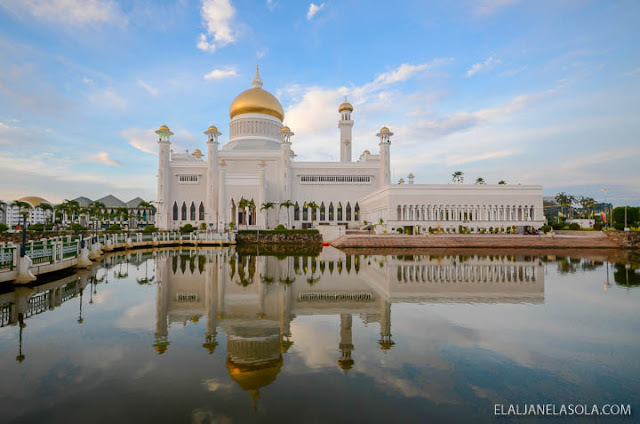 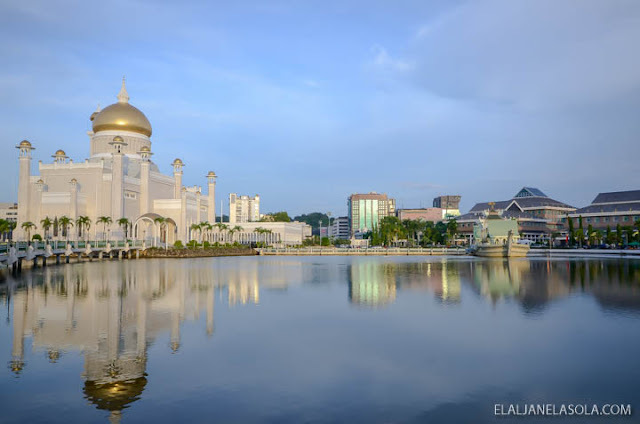 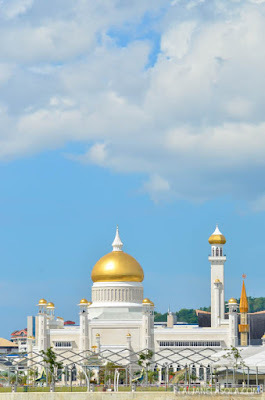 The glistening landmark of Brunei’s capital, standing since 1958, is the popular postcard-worthy mosque of the city which was even considered as one of the most beautiful mosques in Asia Pacific. 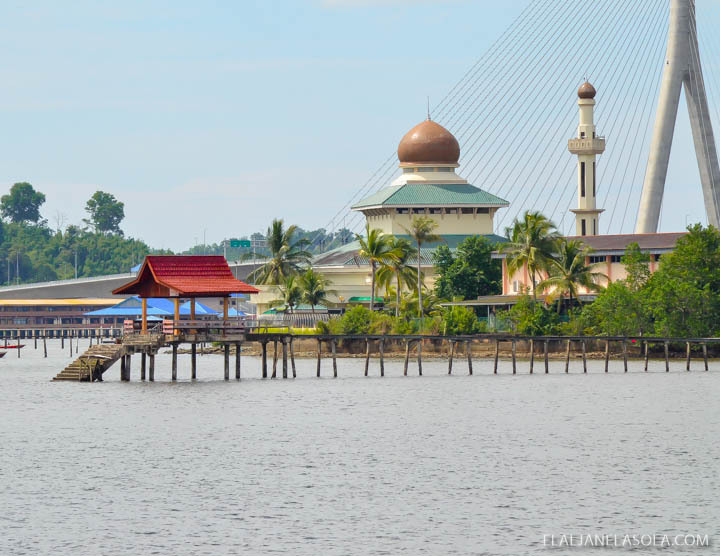 Built in an artificial lagoon on the banks of Brunei River at Kampong Ayer. It is the heart and symbol of the country’s deeply-rooted Islamic faith. The village of Kampong Burong Pinggal was previously known as Kampiong Ulu-Ulu because of its location at the Hulu (beginning) of the Brunei River. 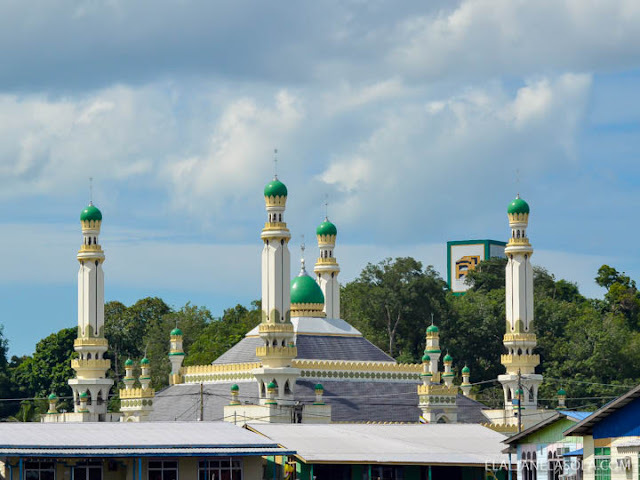 Later on changed when a villager found a bird that makes a sound like the word “Pinggai” and presented it to Sultan Muhammand knowing that his wife had lost the bird named Si Pinggai. 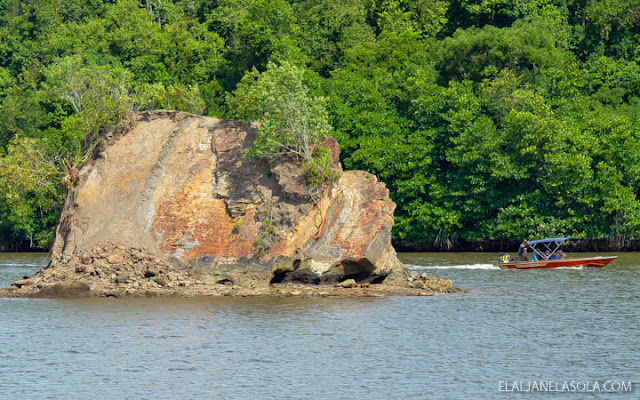 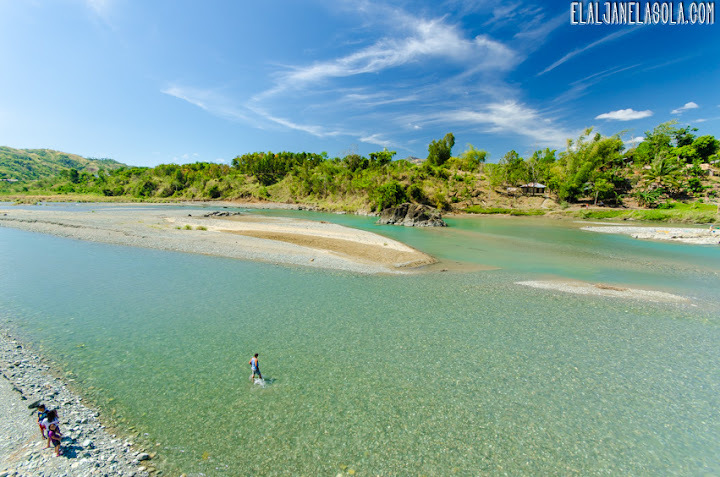 The rock outcrop located in the river, shaped like one resembling a sinking ship with the bow sticking out of the water. 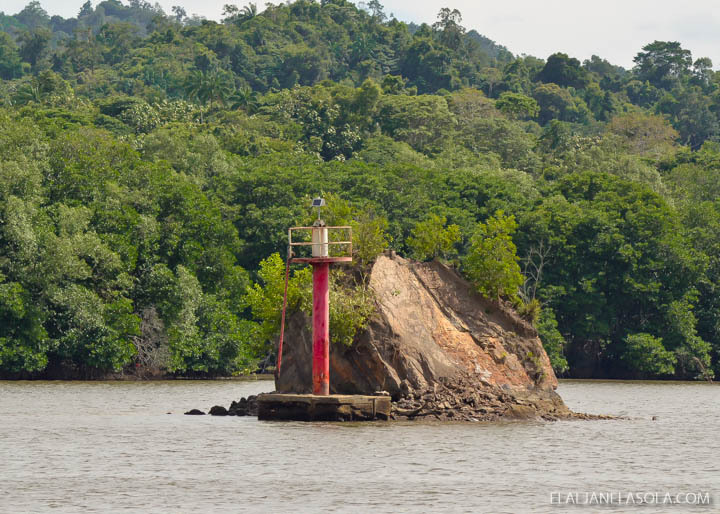 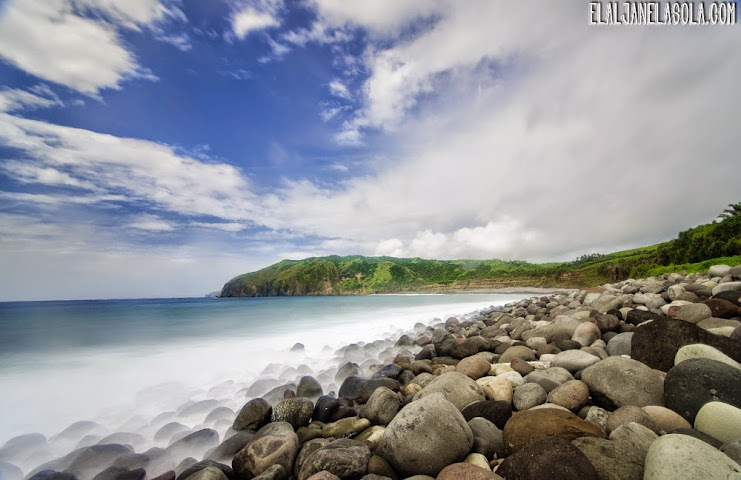 Legend has it that Nakhoda Manis was tuned into this rock after being revoked by his father’s name. 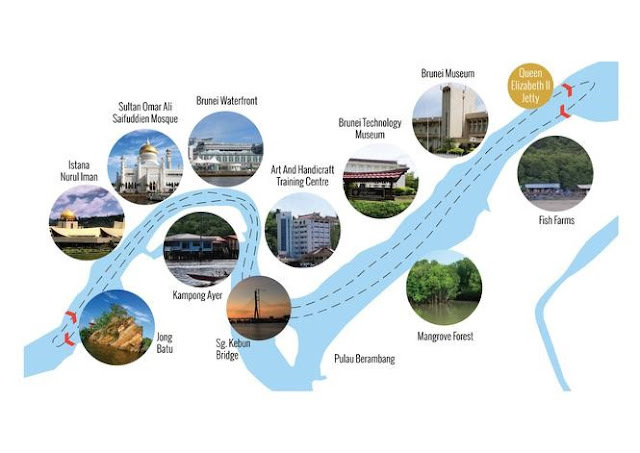 I would highly recommend this tour especially when you are with your peers or family. I was travelling alone when I visited Brunei and the cruise made it easier for me to see the sites in Brunei smoothly. 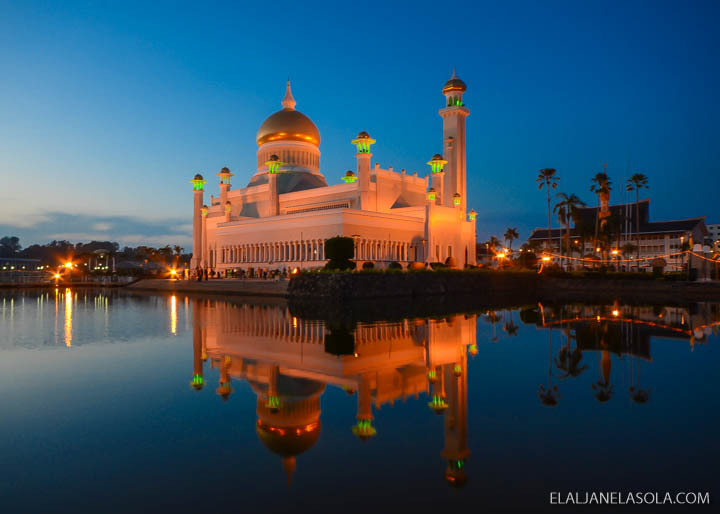 Of course, if you would wish to visit each of them individually, you could do so like what I did which was sunset at the iconic Sultan Omar Ali Saifuddien Mosque. 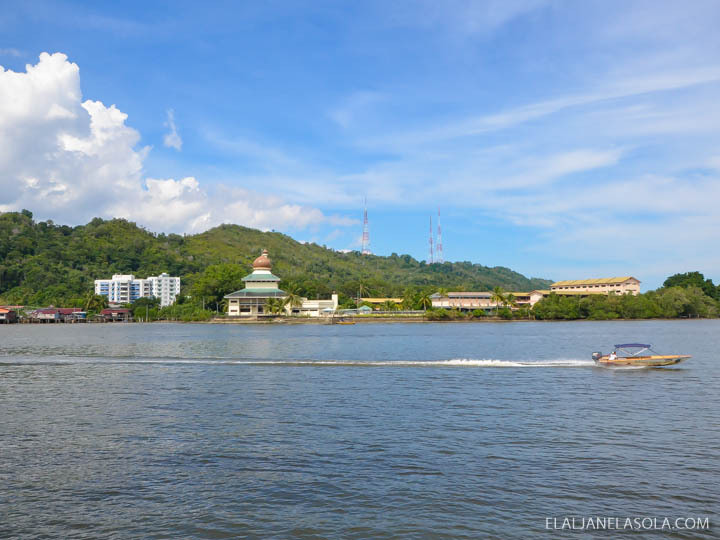 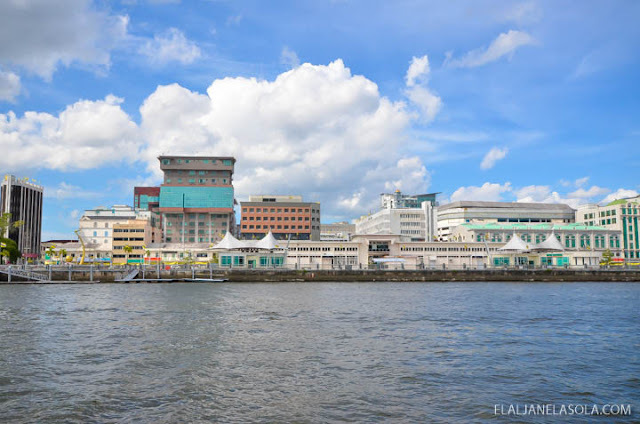 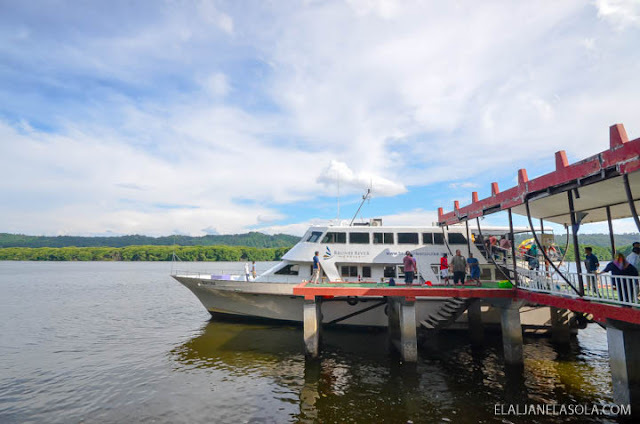 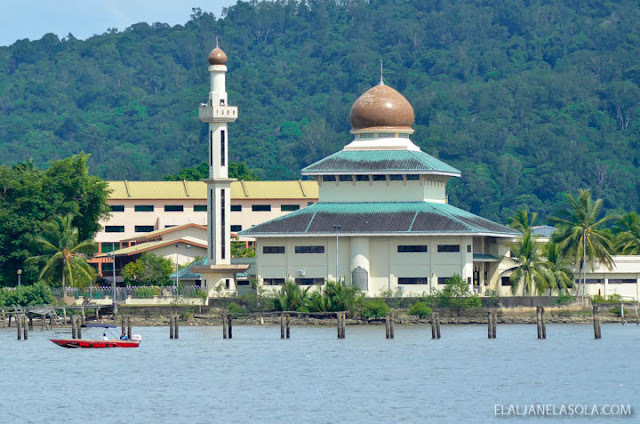 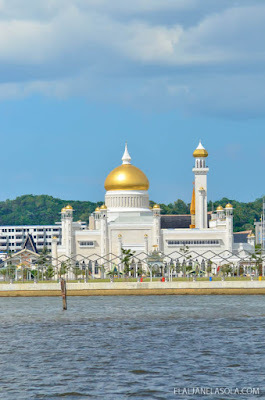 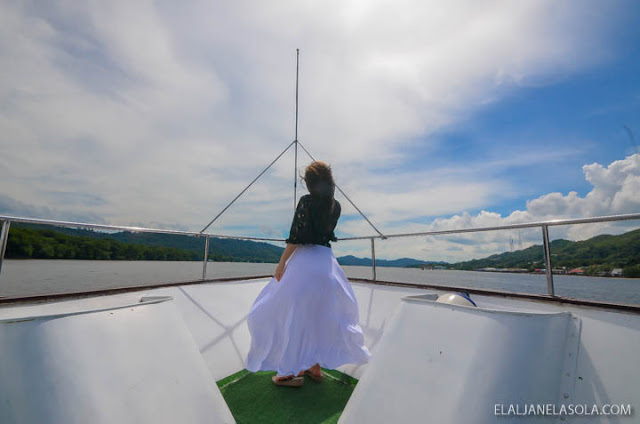 Brunei River Cruise’s exact location is at Queen Elizabeth II Jetty, Kg Dato Gandi, Jalan Kota Batu, Bandar Seri Begawan, Brunei Darussalam, Brunei. 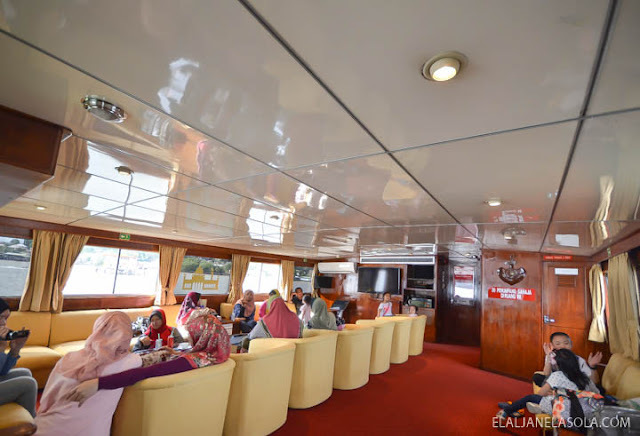 Contact them through bruneirivercruise.com or follow their facebook or instagram for further information.